The Project is Over, but the Message Continues » “Love like you have been loved” by Jesus, was appeal by Tim Gillespie, lead pastor of Crosswalk Church in Redlands, California, and one of the principals of the One project (TOP). 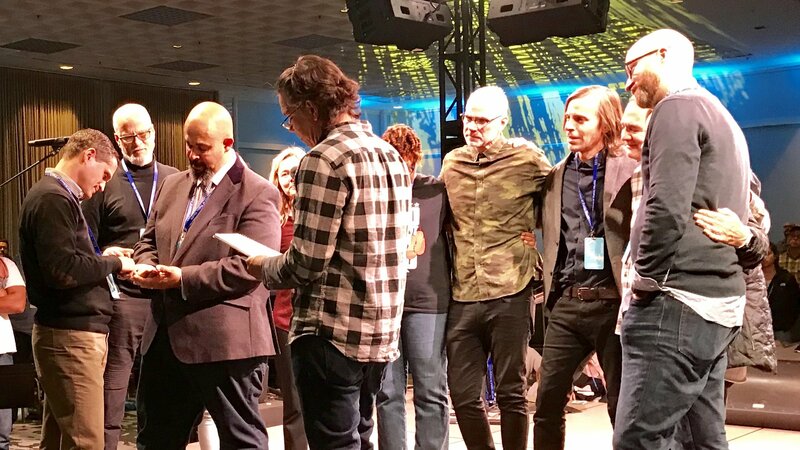 The event ended with a finale of its seven-year run of 32 gatherings celebrating the supremacy of Jesus Christ with more than 900 participants--young and old-- meeting in San Diego, February 11-12. The gatherings held in the United States, Australia and Europe attracted tens of thousands of participants. 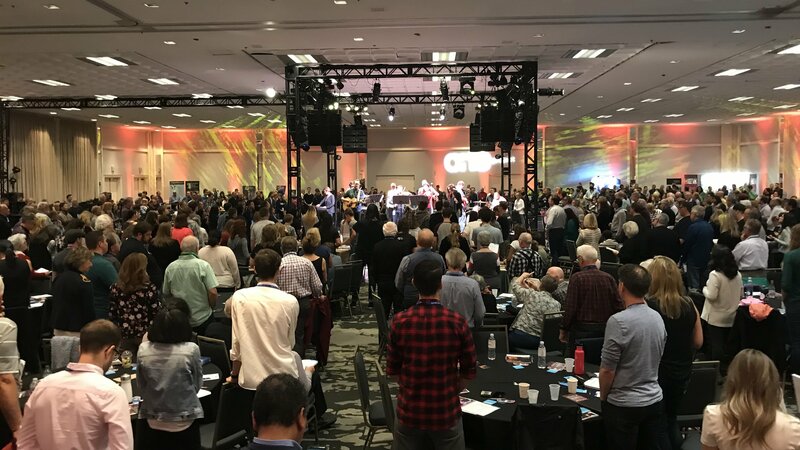 According to organizers, 63 participants came from several churches in the Rocky Mountain Conference, among them pastors and members from Boulder, Littleton, Campion, Aspen Park, and Cañon City, and LifeSource. “People are not tired of love,” he was emphatic. With each presentation zeroing-in on various aspects of Jesus’ ministry, the last gathering of The One Project pointed to the centrality of Jesus as revealed and recorded in the Scriptures. 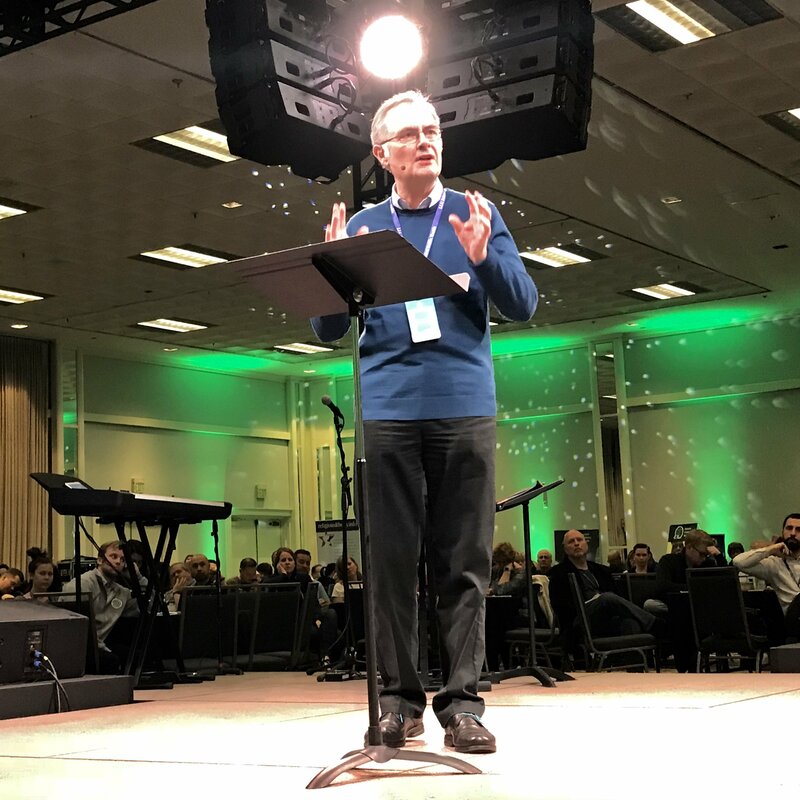 William Johnsson, former editor of the Adventist Review spoke about the “Forgotten Women of Galilee” underscoring Jesus’ attitude toward women, a topic currently under heated debate in the denomination. 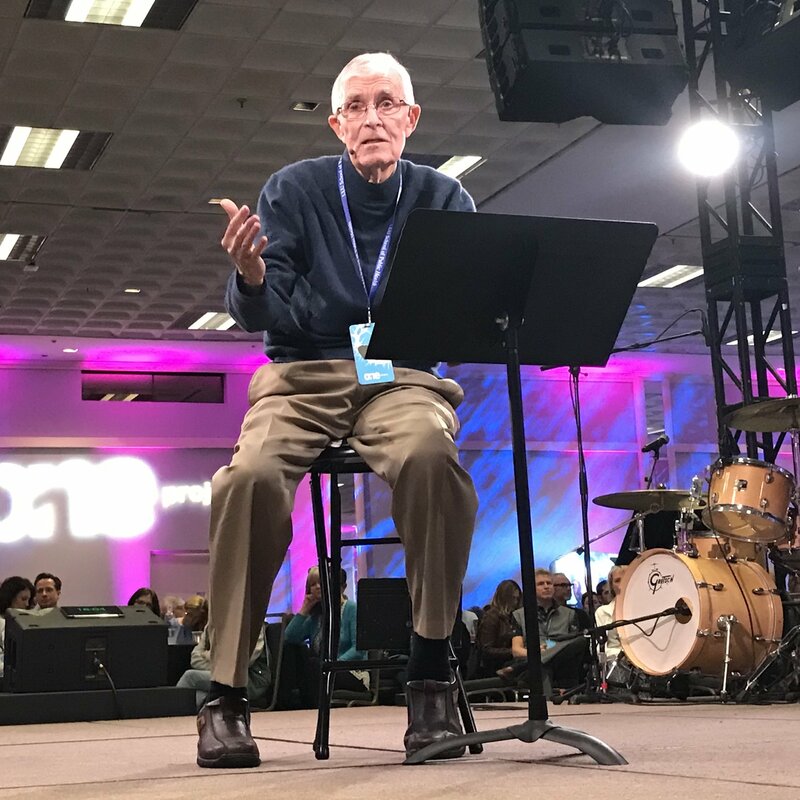 There were standing ovations for Johnsson and several other presenters as theological emphasis brought understanding to the depth of the Gospel record. In a presentation on “Joseph, Father of Jesus,” Laurence Turner, Principal Lecturer Emeritus in Old Testament at Newbold College, England, the emphasis was on what it was to be known as a “righteous man.” It was in his [Joseph's] life stage as a scholar to whom others went for answers that Joseph was challenged with what it meant to have Jesus born into his family. Joseph accepted a righteousness that challenged the norms of his society. He went for the hardship of losing his reputation. Turner asked, “Is it possible for us to protect the reputation of the church and at the same time fail to truly represent the gospel”? With the One project finale, an obvious question on the mind of the San Diego gathering participants was: “What next?” Testimonies of many expressed publicly what TOP has meant for them, sounded like a chorus: My faith was strengthened; it brought a sense of hope; I reclaimed my Adventist faith. 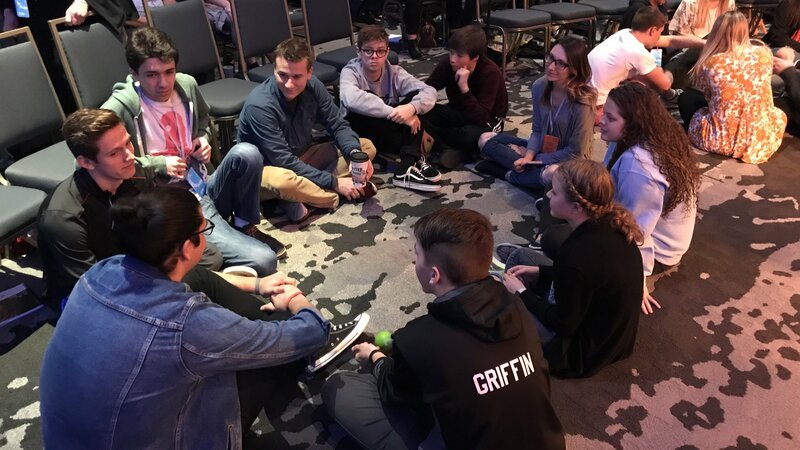 As one participants said, TOP “conversation moved me from membership to discipleship,” Japhet De Oliveira, senior pastor of the Boulder church and co-founder of the One project said that the gatherings “are not your church. This is not your church,” he said as he pointed at the participants.” He intimated that the ethos of the One project should recognize the local faith community as a place where the church is practiced as a way of life. For Japhet and the TOP team, the church is where we come from and where we live. This phase of the One project was over, but the message of the gatherings will continue. Locally and everywhere, and “as a community dedicated [to being] centered only on Jesus,” in the words of Paddy McCoy, currently in ministry at Kettering Adventist Church. Looking forward, there are plans to meet with a leadership roundtable hosted at the Boulder Church in the month of October, and “everyone is welcome to join in, Japhet said. The Boulder Church Worship singers and musicians, who provided musical inspiration to all gatherings in the United States, led all participants singing “In the fire, in the flood / Through the need / And through enough / We say Jesus, You are Lord of all.” The final gathering of the One project ended. But, the conversation will continue, a promise expressed and hoped for. 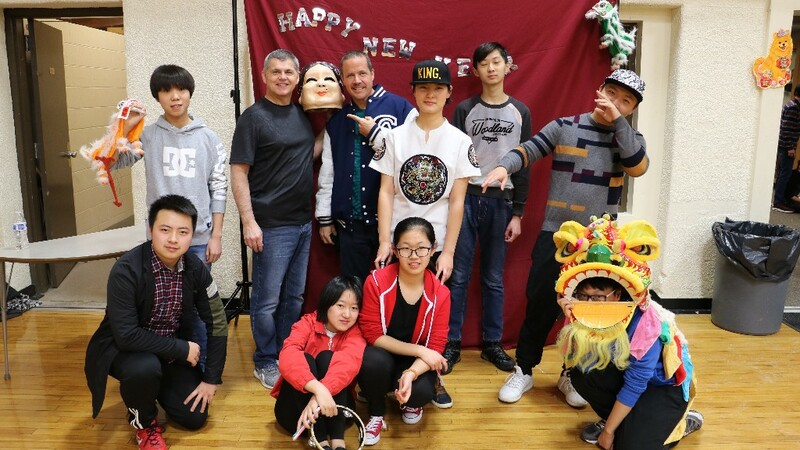 Campion Students Get a Taste of Chinese New Year » International students at Campion Academy gave classmates a closer look at their Chinese New Year by showing a video of what the celebration is and how it all began. A celebration of the defeat of a monster who came into the villages and caused chaos, Chinese New Year is the village people's response to this monster. They learned that the monster didn’t like the color red, loud noises, or bright lights, so they used these techniques to scare him away, in the process creating Chinese New Year. Held in January or February according to their lunar calendar, Campion's international students also shared an assortment of food eaten during the fifteen days of the celebration, with an explanation of why they eat those dishes. The experience was mind opening for all. Mrs. Torres mentioned, “It was fun beginning to end. There were a lot of surprises!” She expressed her delight in the entire activity, explaining that the students prepared all but one of the dishes themselves. The food served was spectacular and many students and staff expressed their delight in eating what had been prepared. The meal was set up in the gym along with an assortment of games for everyone to enjoy, including karaoke, jump rope, Chinese checkers, badminton and Jianzi, game like hacky sack, where the goal is to keep the shuttlecock in the air using your feet. Jaime Jorge to Visit Campion Academy During Music Festival » Violinist Jamie Jorge will be at Campion Academy during the Music Festival March 22-24 to share his music and speak for the church service. The RMC Music Festival, a gathering of 5-8th grade music students from conference elementary, public and home school students, also includes other schools and students from outside our conference in grades 9-12. 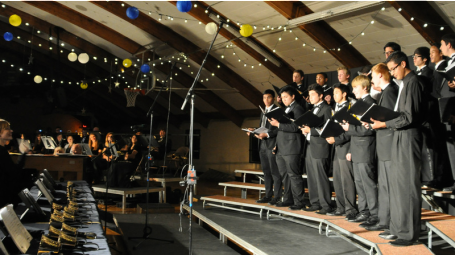 This year's festival ensembles will feature choir, string orchestra, and handbells, and will give students the opportunity to prepare challenging music within a short period of time during intensive music rehearsals. Clinicians will present students with a variety of new musical knowledge, techniques, and strategies to elevate their performance in their respective musical interest. Aside from the musical and social aspect of this event, students will also experience spiritual food that can impact them in a positive way towards eternal decisions. The goal is to help students understand how they can use their musical abilities to impact the world for the glory of God. To learn more about the Music Festival and to register, go here. 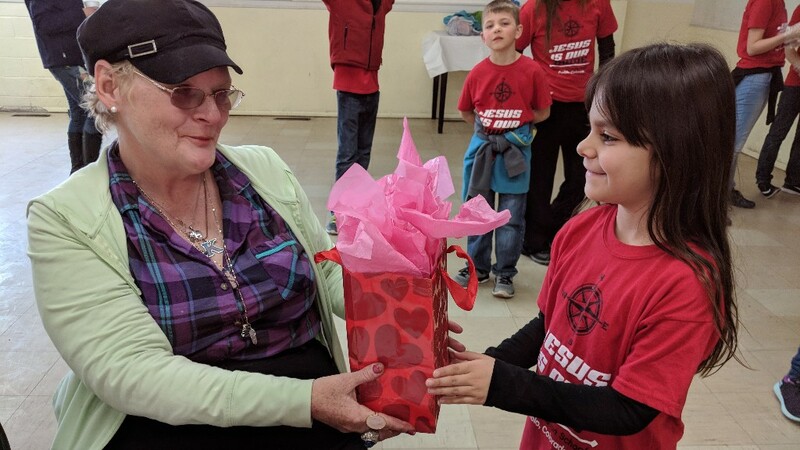 Daystar Students Hold Valentine's Day Party for Pueblo Rescue Mission » A day of chocolate, cards, and reminders of love is not a gift the homeless often receive. But this Valentine's Day, students from Daystar Christian School gave the guests of Pueblo's Rescue Mission a Valentine's Day party. They brought decorations, homemade cards, sweet treats, and new socks for the guests. Angelo's Pizza donated some of their famous pizza. The guests were very touched. One guest cried when she saw a card that said she was loved. "I will keep this card to remind me that someone loves me," she said. Many of the guests were thankful to have students sit down with them and talk and help make their Valentine's Day a little sweeter. The gift of love went both ways, "Seeing their smiling faces made me smile," said Luke Velbis, 7th grader. "Today the children from Daystar demonstrated love and kindness for people who are treated so unkind almost everywhere they go," said Jackie Jaramillo, President and CEO of the Pueblo Rescue Mission. "All of the gifts were deeply appreciated by all of our guests. It was such a blessing to witness an event that brought joy and smiles to the faces of our guests. Thank you (Daystar) for this beautiful act of kindness." 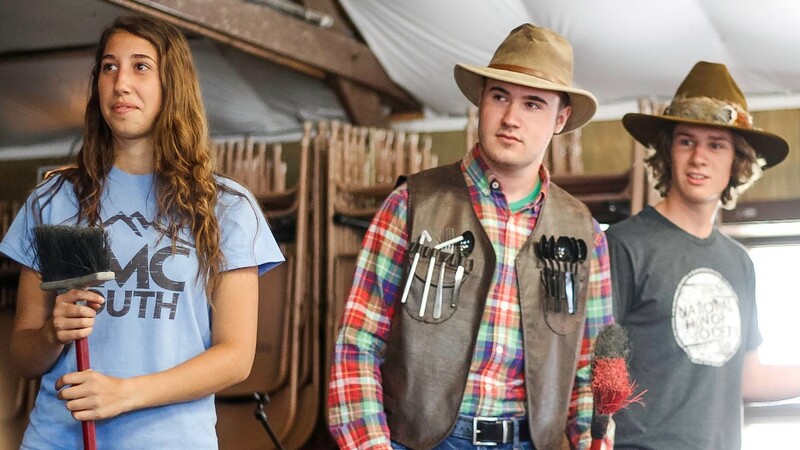 Summer Ministry Opportunity at Glacier View Ranch Summer Camp » College age young adults (18-25) are invited to apply for an opportunity to join our summer staff at Glacier View Ranch from June 3 through July 31. GVR staff commit the summer to fantastic ministry in the heart of the Rocky Mountains as they work with a team of more than 60 young adults to make it easy for kids to know God. Available positions around camp include everything from lifeguarding to rock climbing, counseling, or cooking in the kitchen. A full list of available positions and job descriptions is available online at rmcyouth.org/summerstaff. Bible marking classes are set to begin February 10 at True Life Community Church (720-312-7962); Chapel Haven Church (303-451-1800); Brighton Church (303-659-1999); and February 14 at Fort Lupton Church (303-887-9197). Bible study groups will begin on February 8 at Newday Denver Church ([email protected]); February 13 at Chapel Haven Church (303-451-1800); and February 15-18 at Denver South Church (303-744-1271). Health seminars are available on March 7 at True Life Community Church (720-312-7962); and cooking classes will be scheduled at the Fort Lupton Church depending on demand (303-887-9197). Other events include “All About Jesus Revival” at True Life Community Church (720-312-7962); “Discover Newday” on February 16 (720-312-7962); “Fire Rekindled” at the Golden Church (970-485-3613); “Jesus 201” at the Golden Church (970-485-3613); “Grace Link” at the Littleton Church (303-798-5648); adult and youth Bible study at Agape Haitian Church (720-809-9588). Join a new church that meets at 4 p.m. every Saturday, 2222 N Marion Street, Denver CO 80205. Franktown Women's Ministries » The Franktown women's ministries group wants to bless new parents and their babies at Castle Rock and Parker hospitals by presenting them with care packages for their babies. If you want to contribute, drop off onesies and sleepers for ages 0-3 months, A&D ointment, baby wash and shampoo, newborn diapers and flannel for making blankets at the conference office before the deadline of March 2. For questions, call Franktown women's ministries coordinator, Selma Wolfswinkle at 303-330-2267. Red Cross PIE Night » On Thursday, February 22nd, at 6:30 pm, we will be having our Red Cross PIE (Parent Involvement in Education) Night at Daystar Christian School for ALL ages. The Red Cross will be presenting a disaster preparedness education program for children and families. The Adventist Community Service (ASC) local chapter and the Pueblo County Lamb Library will also be represented. Please invite family and friends to join us for an evening filled with fun, learning, and of course pie! Become Certified in Donations Management » When a disaster happens, will you be ready to assist? Why not become certified in Donations Management? Recognized by FEMA and the State of Colorado Emergency Management, this training will take place from 9 a.m. to 5 p.m. Sunday, , February 25 at Rocky Mountain Conference office board room or Sunday, March 4 at the Alamosa Church Fellowship Hall. The cost of $25 covers the class manual, lunch, and a photo ID. 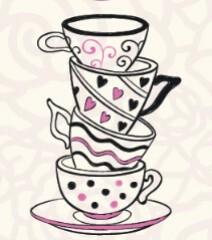 Fit to a Tea » True Life Community Church will hold a women's ministry tea, "Fit to a Tea" from 1-4 p.m., Saturday, March 10 at their facility, 6054 S Kipling Parkway, Littleton 80127. Come enjoy tea and a light lunch. Bring a purse loaded with toiletries for ladies which will be donated to a women's shelter or fill gallon ziplock bags with survival supplies such as small flashlight, tissue, plastic rain ponchos, chapstick, etc. For more information, contact Tammy at 720-364-8339. 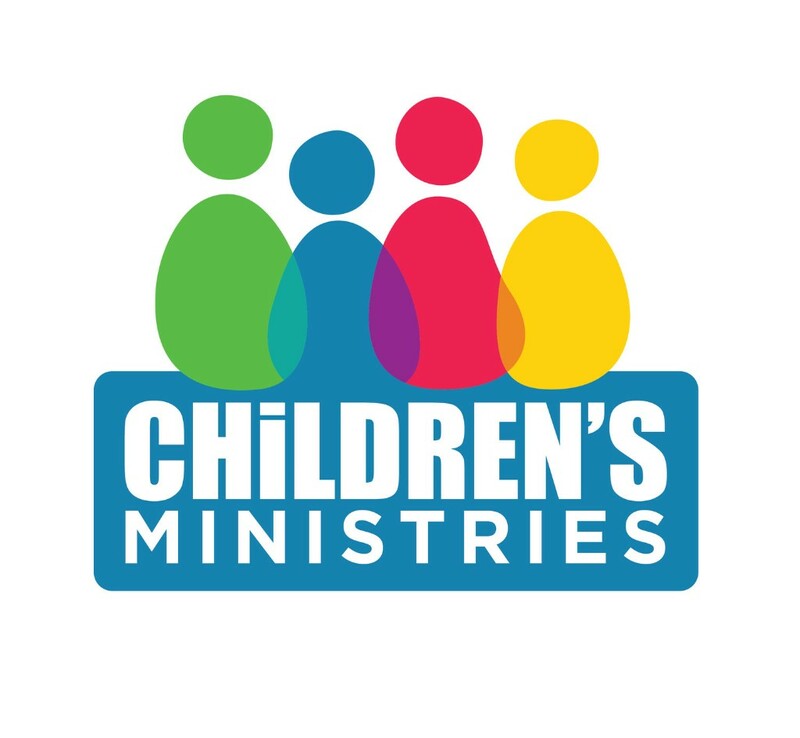 Join us for Child Evangelism Track 3 held at 6:30 p.m. both Friday, March 16 and Saturday, March 17. 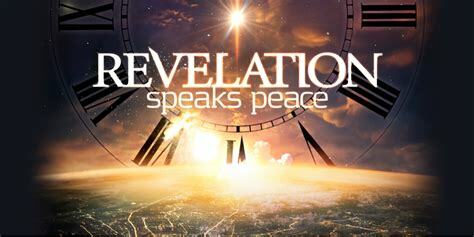 Come again at 2 p.m., Sunday, March 18 for Vacation Bible School (VBX) training. This will be a weekend filled with learning and so much Jesus. Tracks will be taught in both Spanish and English at Brighton Church, 567 E Bromley Lane, Brighton CO 80601-3249. Register at rmcyouth.org/children or email Patty Rivera at [email protected], 303-910-1614. Children's Ministries Certification and VBX Training, Grand Junction » Join us for Children's Ministry Certification Track 2 and VBX training held from 9 a.m. to 7 p.m. Saturday, April 28 and 12 p.m. Sunday, April 29 at the Grand Junction Church, Taught in both English and Spanish, this training will cover Track 2 of the Children's Ministries certification. Grand Junction Church is located at 550 25 1/2 Road, Grand Junction CO 81505-6122. Register at rmcyouth.org/children or email Patty Rivera at [email protected], 303-910-1614. February 20; 9:30 a.m. - 12:30 p.m.
February 21; 9:30 a.m. - 12:30 p.m.